Do you apply your blush the same way every day? Change it up to change your look! Three options to try + tips. Some time ago, Tracy from BeautyReflections suggested I do a blush-tips post. I&apos;m a big fan of the stuff, you see -- it&apos;s one of my must-do steps in my back-of-the-cab routine, after all. Oh, and it was a big deal on Fall/Winter 2011 runways, too. So, obediently, I&apos;ve done what Tracy thought I should do. The above Versace image is so gorgeous, with hint-of-peach pink starting just short of the roundest part of the cheek and sweeping along the cheekbone and over the lid. That bit of highlight makes the look. At Marc Jacobs, blush was low, toward the front of the face, and slightly feverish -- or windburn-y. 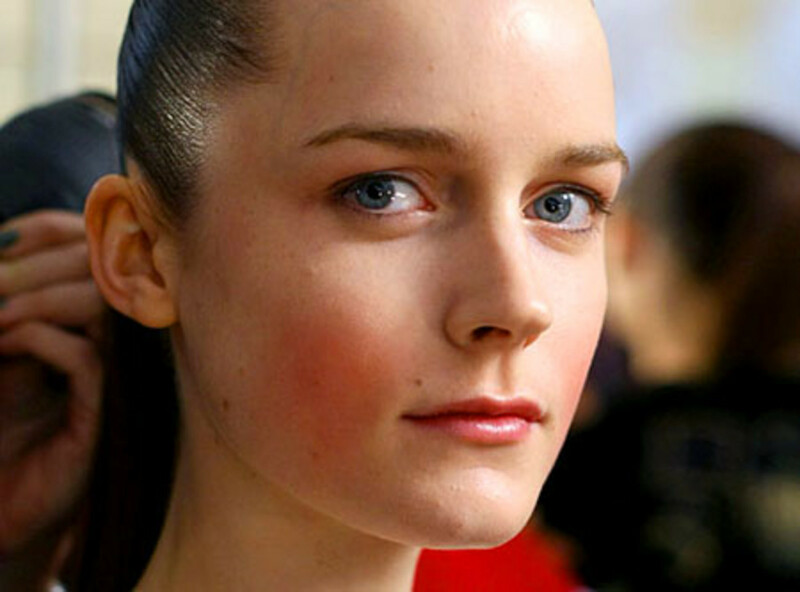 And at Chloe, it was all about sculpting the face, sharpening cheekbones by upping intensity underneath. 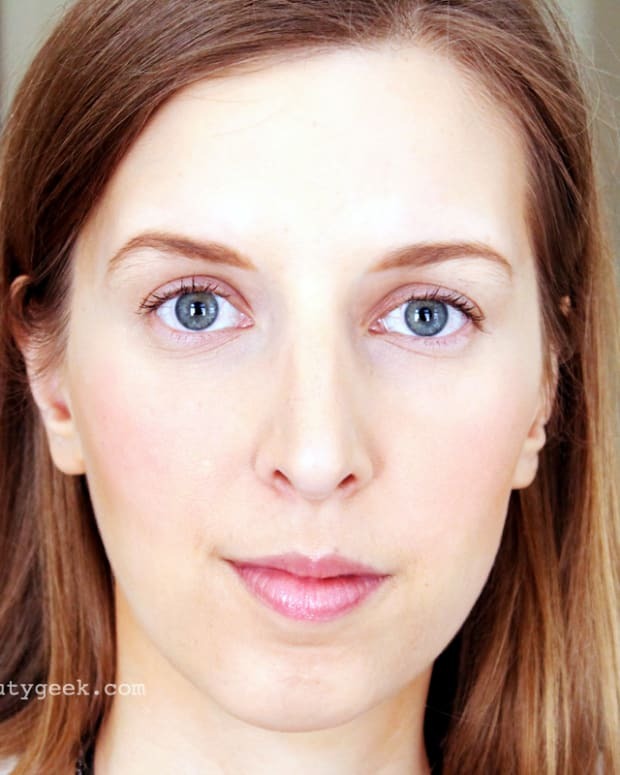 It&apos;s easier to apply powder blush over lightly powdered skin. If you&apos;re using a blush brush, whether for powder or cream, dab it into the colour, then into the compact&apos;s mirror or the back of your hand to push blush into the bristles before you apply. That way you avoid overloading your face... "right off the brush," I should have said in the video below. If your cream blush is non-sticky, mousse-like, or gelly-like, do try tap-blending it on to skin over your powder -- you&apos;ll get a pretty sheen. Gel or stain blushes blend more easily into moisturized skin than dry. A soft highlight along the top of cheekbones adds dimension. The darker your skin, the more golden the highlight. Boost blush staying powder by layering cream blush, a light dusting of powder, and a light layer of powder blush. Fix beaucoup-de-blush blunders, whether stain, powder or cream, by dusting loose translucent or setting powder over the too-bright area. Having trouble choosing a blush shade? Pinch your cheeks or jump up and down for a bit, and search out a similar shade. Rosy pink, coral, or pink-y coral are all excellent choices for most skin tones. Go for deeper shades for darker skin tones. 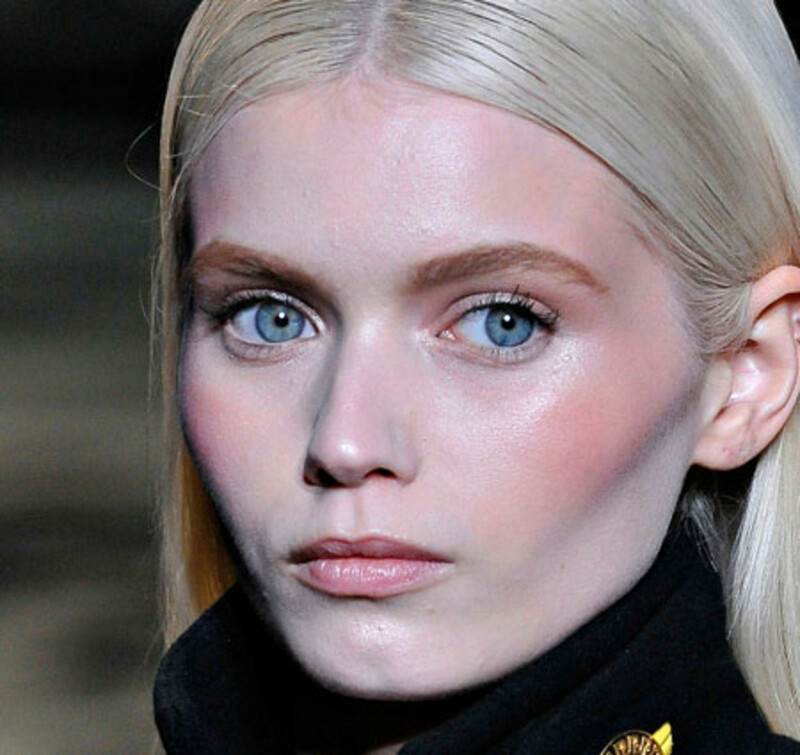 Top a neutral blush with a brighter shade to give your complexion a lift. For sculpting, go for a warm neutral or risk looking stuck in the &apos;80s. And here in a video for The Kit, three simple applications to which you can add your own personal tweaks. Oh, were you expecting a different kind of cheeky? What&apos;s your favourite blush tip?